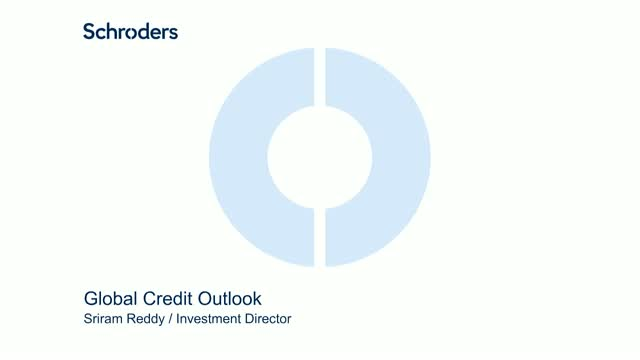 In this live webinar, Schroders’ Fixed Income Investment Director Sriram Reddy will provide an update to the global credit market as well as positioning within the Schroder ISF Global Credit Income. Corporate governance is a well-practices component of ESG analysis. But what about a company's social and/or environmental footprint on society. This is a much more difficult arena of analysis to do with any consistency or success. In this edition of our quarterly series, Jessica Ground and Andy Howard discuss SustainEx, a new proprietary tool that provides quantitative analysis of these factors across companies and sectors, so that investors can better understand the financial impact of doing good, or continuing unethical business practices. Nick Field delivers the Team's latest thematic research on the global emerging market equity markets. In this live webinar, fund manager Martin Skanberg addresses the reasons for the underperformance of Schroder ISF EURO Equity over the last 9 months. Undeniably the recent performance of the Fund has been disappointing, however, we maintain conviction in the shape of the portfolio and have added to many of the stocks which have weighed on returns. Managing a style agnostic portfolio focused on stock specific risk is what we have always done – this difficult period has not changed the approach and we are confident that these stocks will return to generating positive alpha again. Emerging market debt has had a remarkable run so far in 2019, but is this just a tactical play in the wake of a challenged year for risk assets? We think it’s more than that. EMD remains a strategic asset class play, and Schroders’ Head of EMD Relative Jim Barrineau will explore the ways in which EMD is attractive as the risk-free rate peaks. He will also discuss where he sees the best opportunities among both hard- and local-currency debt, and how investors can be strategic with their EMD allocations in 2019. Please join Nicholette MacDonald-Brown and Scott MacLennan as they discuss key points of the newly launched fund, Schroder ISF European Sustainable Equity. In this edition of Credit Insights, David looks at the explosion of triple-B bonds in the IG universe, the recent high yield retracement, and what the Year of the Pig may have in store regarding China’s economic growth & the trade war dispute. Watch our Schroders ILS experts, Dirk Lohmann, Daniel Ineichen and Beat Holliger review the all-important January renewal season. An 18-minute look at the US Small Cap asset class, what drove returns in 2018, and what we think will be key drivers and themes in 2019. Sarah Bratton hosts the Sustainable Investment team as they kick off the New Year with several timely topics including the relevance of ESG factors in managing both trade wars risk and the proliferation of artificial intelligence (AI) in the global economy. They will also touch on divestment practices and trends among several ‘sin sectors’. Join us as Sheldon Kasowitz of Indus Capital analyses the 2018 performance of the fund and what investors can expect from markets in 2019. Schroders' longest-standing webinar series, with our Head of EME Tom Wilson offering his outlook on the Emerging Markets in 2019. On this All Hallows' Eve edition of Schroders’ Sustainability Quarterly webinar, we look at ESG-indexing, and ESG within the Emerging Markets, both areas that can potentially offer tricks & treats. The combination of rising demand for index-based investment products and an increasing appetite for strategies based on ESG criteria has led to a sharp increase in ESG-branded products. We highlight a number of reasons why these simple, low-cost solutions may not provide either the financial or sustainability outcomes investors are likely to expect. issues are less likely to impact better managed, more sustainably run companies, in our view. Please join Nick Field as he examines the thematic trends impacting the Emerging Markets. Schroders recently held its Quarterly Fixed Income Investment Forum, and for this webinar David Knutson will give a glimpse into this 3-day discussion by recapping several debates that went on, including the state of the USD, and inflation. He will also offer a research analyst's perspective on another current debate sparked by recent tweets - quarterly reporting. Emerging market equities remain an attractive area to find growth. While liquidity and FX remain powerful drivers of EM asset prices, for those with a longer-term view, we think the fundamentals are strong and there remains compelling alpha to be had across region, sector, and market cap. So where are we seeing value? Join Dr Michael O’Brien and Derek Power from Schroders QEP team as they look at the secular changes that are transforming this dynamic and diverse asset class -- and where they see opportunities. Please join Jessica Ground and the Sustainable Investment team as they dive into the ESG topics currently making waves. No one wants to vacation on a beach full of plastic. With more regions talking about banning some plastic items, what is the impact for the plastics supply chain, and end users. Meanwhile, as summer temperatures reach record highs, we will revisit our Schroders Climate Progress Dashboard a year on from launch and see how the thermostat is re-calibrating. Finally, as you pack up the car for your big summer trip, is there a residual risk that is not being captured within the auto loan industry, despite banks tighten up their consumer protection rules and processes? The Team's quarterly review and outlook on the Global Emerging Markets. * Are risks in the global economy moving from a reflationary bias to stagflation? * Is it time to re-engage with emerging markets from an asset allocator’s perspective? A variety of market and political volatility year to date have investors laser-focused on the global economic backdrop. With valuations pushing historical limits, a stable but flattening yield curve, trade wars and of course China’s 2018 NPC moving their new lower-growth agenda forward, Schroders Azad Zangana examines where he and the Economics team are seeing smoke -- and where there might actually be fire -- as this unprecedented "Goldilocks" economic cycle continues to chart new territory.